January 2019. A faculty team from Bard College recently visited Fulbright University in Vietnam, a new liberal arts institution in Ho Chi Minh City. I had the pleasure of serving as the chair of the Faculty Committee. A wonderful visit with great faculty and inspiring students. Our Kenya work was recently covered by Scientific American, which you can read here. October 2018. I just returned from a lovely visit with Jason Rohr and his lab at the U. of South Florida. So great to see where, and how, so much amazing research happens, and to meet so many wonderful graduate students and post-docs. June 2018. We have a major new paper out showing that risk for tick-borne disease is affected by both acorns, which increase mouse abundance, and predators like foxes and bobcats, which decrease mouse abundance. PDF available on the Publications tab. Lab alum Dylan Dahan's paper on how arsenic in water affects the microbiome of larval zebrafish is now out in Frontiers in Microbiology, with three Bard faculty members as coauthors. Congratulations, Dylan! May 2018. Lab alum Dylan Dahan just had his senior project research accepted in Frontiers in Microbiology. Dylan studied the effects of arsenic on the microbiome of zebrafish, a fascinating and timely question. Congratulations, Dylan! May 2018. Our first paper on the Tick Project, which describes the study design and goals, is now available from Trends in Parasitology -- and on the Publications page on this website. May 2018. 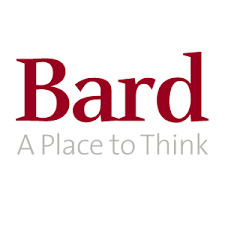 Congratulations to Bard Class of 2018 graduates Sarah Weiner, Molly Woolery, Nick George, and Lauren Bannon. Each of them asked and answered a new and exciting question related to tick-borne diseases. November 2017. Three papers out this week: one on ecological traps, one on the effects of climate on ticks in Kenya, and the third on whether the use of a biocontrol method for ticks has non-target effects on other arthropods. All are available on my publications page. Thanks to my great coauthors! November 2017. Thanks to Tanya Josek and Allison Gardner for hosting a wonderful symposium on vector control and community engagement at the Entomology meetings in Denver. I was honored to be a part of it and appreciated the chance to talk about the Tick Project. October 2017. I just returned from a seminar visit to Texas A&M. Thanks to my host, Rachel Martin, for setting up a wonderful schedule of meetings with a great group of faculty and students. September 2017. After sabbatical, I'm back in the classroom. The biggest part of the adventure? A new mini-course called Science Literacy for Activists that is proving to be just the kind of challenge I wanted, and then some. August 2017. Lots of press on ticks and tick-borne diseases this summer. 538 ran a particularly nice spot. June 2017. I enjoyed my interview this week with Vermont's NPR affiliate, all about the role of opossums in controlling ticks and tick-borne diseases. Excellent call-in questions and some cute possum stories, plus a nice chance to talk about the Tick Project. You can listen here. The 2017 tick season is certainly getting the attention it's due. You can listen in to NPR's "On Point" with Tom Ashbrook here. I was one of three guests answering questions from Tom and call-in listeners. May 2017. Thanks to my host Janet Foley and the wonderful students, research staff, and faculty at UC Davis for a lovely visit last week. April 2017. I had the chance to answer questions about Lyme disease on "Science Friday" with host Ira Flatow. Great call-in questions from listeners, and even one from a Bard alum living in Denver. You can listen here. March 2017. Hearty congratulations to lab alum Dylan Dahan who will be starting his Ph.D. work at Stanford in the fall. Dylan is finishing up a Master's degree at Oxford this year before his move back to California. Even more good news -- he just received an NSF Graduate Research Fellowship for his studies. Congratulations, Dylan! March 2017. Great coverage of our work on mice, ticks, and Lyme disease on National Public Radio (NPR) today. Read (or hear) the story here. The second installment of the story, which focuses on the many tick-borne diseases in the U.S., can be found here. January 2017. The radio show Pulse of the Planet has done a nice series on our work, with features on our new Tick Project and on the ever-exciting opossum. December 2016. Had the pleasure of giving a seminar at the Cary Institute of Ecosystem Studies. Great to get feedback about our project investigating the consequences of integrating livestock and wildlife in Laikipia County, Kenya. In other news, Rick Ostfeld and I just had a manuscript accepted at EcoSphere evaluating the evidence for a relationship between biodiversity and the emergence of new zoonotic pathogens. I'll post the manuscript on my Publications page once we have proofs. August 2016. Our new website on science literacy for college students is now live at http://scienceliteracy.bard.edu/. April 29, 2016. 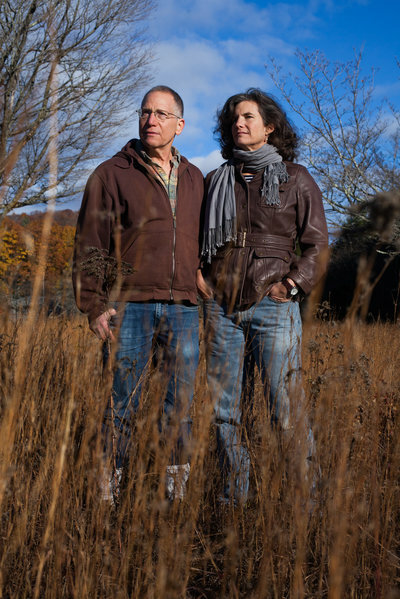 Tick Project directors Rick Ostfeld and Felicia Keesing were interviewed on WAMC radio to describe the study and its goals. You can listen here. April 2016. The Tick Project has launched. We are in the process of choosing the neighborhoods in Dutchess County, NY in which we will begin recruiting participants. Check out the project website to learn more about what we are up to. April 2016. Lab alum Luke Henry has just received a prestigious NSF Graduate Research Fellowship. Luke is finishing up his Master's degree at Indiana University this spring and will be starting his Ph.D. at Princeton in the fall. Congratulations, Luke! April 2016. I've just returned from a wonderful week as a Global Scholar at Harvard University's Center for the Environment, where I was the guest of Sam Myers, Chris Golden, and Amalia Almada of the Planetary Health Alliance. I had the honor of giving their inaugural lecture, and the great pleasure of meeting students and colleagues, sitting in on a class, and spending heaps of time brainstorming about both science and education. March 2016. Snopes.com just did an analysis of our work on opossums, inspired by a widely-circulated internet meme. So what's the verdict? DO opossums kill heaps of ticks? They do. The original scientific paper is here. March 2016. Taking full advantage of my sabbatical, I have just returned from two seminar trips, the first to the University of California at Santa Cruz, and the second to the University of Illinois at Urbana-Champaign. Quite inspiring to meet so many talented graduate students, post-doctoral fellows, and faculty who are dedicated to both research and teaching. Thanks to my hosts, Jordan Ruybahl (UCSC) and Brian Allan (UIUC), who made me feel so welcome. NSF. This is a nice little animation made by NSF about our work on forest fragmentation and Lyme disease. October 2015. Check out this new video about studying science at Bard! September 2014. An Academic Minute radio spot on our research into the consequences of the loss of large mammals in Kenya. June 2014. Discovery News was one of a number of news outlets that covered our study of coinfections in blacklegged ticks. The bottom line: ticks are far more likely to be coinfected with the pathogens that cause Lyme disease and babesiosis than you'd expect by chance. That's because they pick up both pathogens at the same time when they feed on small-mammal hosts. Kudos to lead author Michelle Hersh, assistant professor at Sarah Lawrence College. You can read the actual study here. November 2013. Scientific American ran a short story on the importance of mice in the Lyme disease epidemic. April 2012. A career highlight: chatting with Ira Flatow of NPR's Science Friday during a show about urban biodiversity. The transcript is here. The best part? Probably the fact that the show was taped under the blue whale in the Oceans Hall at the American Museum of Natural History. That, or just how wildly over-dressed I was for being on the radio. December 2010. Some nice coverage of our Nature paper on biodiversity and disease. August 2009. The New York Times publishes a Room for Debate on ticks and Lyme disease.